Someone yesterday commented that they wanted to see something "not so cutesy". I don't know if this qualifies but here's hoping it does! Using the Close to My Heart Artbooking Cricut cartridge and one of the stamp sets that came with the cartridge, I created this fast 5" x 5" card. For those of you worried about mailing a square card, just put this in a 5" x 7" envelope. Problem solved! I wanted so much to get the video working for this card but for some reason, it kept kicking off the audio at 1:18. No matter what I did, including re-making the video from scratch, I couldn't get it to work. Arrrggghh! I even had it loaded on youtube and thanks to some vigilant youtubers who caught this problem, I was able to take it down in time. But, alas, I was unable to fix it. I'm sorry! 1) Leave a comment below - What do you do to cheer yourself up? Beautiful!! To cheer myself up I love to create!! This is a lovely card. I make cards to cheer myself up. Love the card. Using my cricut cheers me up. I love 3d projects. Right now neither my Gypsy or CCR recognizes my E2. That bums me out. I love the new Artbooking cartridge, and your card is simply "lovely". :) Thanks for the chance to win. What a pretty card - I love green and yellow with a touch of black - it's such an unusual, but classy, color combo! When I'm sad, I like to read. No matter what I read it shows that other people have problems too & reminds me of how good I really have it. A glass of wine doesn't hurt either. 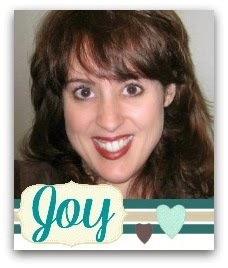 Hey Joy well I always cant help but feel awesome when I visit your blog or watch one of your videos. Your card is beautiful I love it all you seem to cover all areas, all topics, all occasions just any anything and everything any given day & I always can't wait to see what you have to share. Nice card! It's not too cutesy. Love that you can make nice cards with this cart in addition to the great layouts. To cheer myself up, and I know it's counter-productive when I want to lose weight, I eat chocolate -- candy, brownies, etc. I will also try to get away and make some cards or layouts to help cheer myself up. I love what you have done with this cartridge. To cheer myself up I eat ice cream, I know that is bad. Nice card. Sorry your video was giving you problems. to cheer myself up I read. It takes me away from whatever was getting me down. Lovely card indeed! ;) to cheer myself up, I either shop online for new craft supplies or run on my treadmill! I love the card very clean looking. What I do to cheer me up is make a scrapbook page of my grandson since they moved away last year. He would always love to work in my scrapbook room and we would make things together. Nice card. To cheer myself up I make a card or two or actually what I end up doing is organizing my room again so I can find what I need to make a card. Have a fun day! To cheer myself up, I make cards for Operation Write Home-it's nice to know my work goes to the troops to send home to loved ones. Retail therapy helps cheer me up - and I don't need to buy, just wander the aisles of JoAnn, Michaels, Hobby Lobby. My other cheer up therapy is gardening - just even weeding lets my mind relax and my stress leaves. Lovely card, thanks. To cheer myself up, I go to my scraproom and "play with my toys". I always forget what I needed cheering about. I always feel happy when I take the time to sit in my craft room and create! Of course, browsing the local craft stores always makes me smile too!! Even though your card is supposed to be "not so cutesy..." it still is! (LOL - But then, everything you make is awesome, cute, stylish and totally amazing!) I am loving your videos...to cheer myself up I scrap, make a card, or my favorite of all...go shopping! I think it is lovely. And not cute. Awesome! When I'm down I take a bubble bath. Works every time. I get my girls mr bubble and turn on pandora. I just want to say that your blog is the only blog I have ever followed. I LOVE the format. Especially how you do videos. Describing what you have done afterwards takes the awkward pauses out. I have an intolerance for the overuse of UM. I love to make pretty things. That usually cheers me up. No matter if I am using my cricut, stamping or punching I just enjoy creating. I like your card. I can tell that you enjoy creating too. I love your card. TFS. Sorry the video gremlins are giving you a bad time. I craft when I need a little cheer me up. I love the feeling of creating something new. Now that I have a blog I also reread the comments left and that encourages me to keep posting what I create. I find it fun to see how many different challenges I can make my project qualify for. To cheer myself up I make cards, scrapbook or paint. All your posts with the cricut cartridges have been very informative for me. I love them! When I need cheering up I usually grab my son and take him someplace we haven't been (wether we've never been or just some place we hadn't been in a while). He's 13 and just so fun and makes the most out of every day, it's my picker-upper! The sentiment fits the card perfectly. It definitely is lovely. Love the color combo. Thanks for all your info and tips on the Cricut cartridges. They are very helpful. I love to make cards and scrapbook layouts. I love evertything you post for us--cutesy and non-cutesy!!!! Keep em' coming!! Too cheer myself up, of course, I scrapbook!!!!! Thanks for the chance to win! I love getting your emails and learning how to use Cricut cartridges; this in itself "cheers me up.". However, the one of the best activites to put a smile on my face is goofing around with my 3 dogs. Wow! I love your card. It is so exquisite! I craft when I need to cheer myself up! Another way I cheer me up is to write a letter to my bff who is in a nursing home. Thanks for sharing! 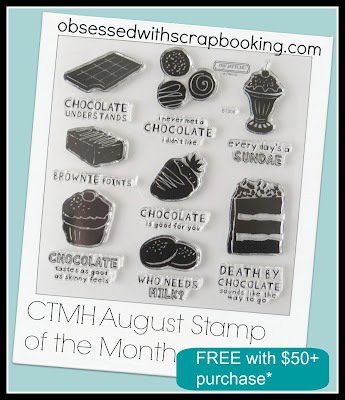 So many ways to cheer up...rubber stamp something, or cut images with my Cricut. I find spending time with my kids cheers me or call or visit a friend. Taking my dog for a walk gets the exercise endorphins going, plus she is just a bundle of love to make me feel good. Last but not least, there is always retail therapy, especially when it is crafting related! very nice card. great colors. i like to read to cheer myself up. Beautiful Card Joy. Most of the time I am an up-beat person, but if I do find myself in a funk, I visit my grandkids or invite them over to my house for some snuggles and fun. thanks for the chance to win this cart! your card is beautiful! love the light blue with the black. it has been tough lately...so I cheer myself up by crafting! I go sit in my craft room and clean off my desk....then make a card or two! and Sunday is my birthday, so I feel really lucky to win this cartridge! LOL thanks again for the chance! Very nice card and thanks for the chance to win. What a beautiful card! I love the touches of black. Taking a vacation from it all is the best way to cheer myself up; unfortunately, I can't do that very often! This card and cartridge is just fabulous! Love the black and green, with the splash of yellow! So elegant! I cheer myself up by working in my craft room. Any paper crafting of sorts cheer me up especially when I learn a new technique & would like to try it too. Thanks for sharing projects from this cartridge. I hope to own this cartridge someday. Used to be ice cream but that wasn't good for my figure so giving service to my family and friends makes me happy. I visit with my grandkids or cuddle with my dog. A few minutes with them or him and their love and joy with life are bound to pick me up. I think about how truly blessed I am . I have a wonderful family that loves. I enjoy your videos. This card is beautiful. I like beautiful. Thanks for a chance to win. Beautiful card! Thanks! I keep a j ournal of things my grandkids say and do. When I need cheering up, I read some of the entries and immediately I chuckle and thinks of how happy and blessed I really am. I cannot remember the last time I needed to cheer up! So I guess what I do all day long every day keeps me cheery. And what do I do all day long every day? Well, being retired, single, and childless, I pretty much do whatever I feel like doing! That makes me happy! Your cards and projects are wonderful! Thanks for sharing with us! Being alone in my craft room keeps me HAPPY! I love creating and watching lots of inspiring videos ...like yours! There is so much to learn and each day brings a new lesson. Love your classy look, I'm also tired of CUTE. I usually sit in the yard and read or watch a few crafting videos to cheer myself up! This is a wonderful card! Thanks for sharing it! I play in CCR, and play with my dogs. I love to cuddle with my husband too! Oh my! That is so pretty! I like "cutesy" things, too, but it is nice to something that is more elegant now and again. 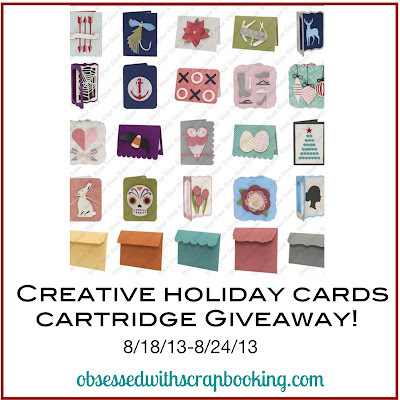 I love all your great giveaways and your preview of the Cricut cartridges. Lovely is right! All the thingss you've done with the Artbookng cart have been lovely! Spending time with good friends cheers me up! Even online friends! Ill make a card, call a friend or family member to cheer me up. Also looking through my completed scrapbooks cheers me up, especially now that my son is in the military and I'm an empty nester... Pictures and text messages from him make my week. Your card is very lovely. I cheer myself up by watching an animal documentary or a romantic comedy. I love your cards and all your tutorials. I pull out out my newest scrapping supply purchases & look thru them until I have an inspiration. And, I always get inspired by new goodies! Then I pull items from my stash, look thru my tools , like my Cricut cartridges, to see what due cuts I can add to my project or look thru my embossing folders for some texture to add. Guaranteed pick me ups!!! yellow is my favorite color and I think it really pops on this card. I absolutely LOVE this card!! The frame is gorgeous and enough to make me really check out this cartridge, unfortunately I don't have the budget to buy it at this time. Thank you for showing all the different ways to use the cartridges! Sorry, also add - I usually cheer myself up by getting out my stuff and making some cards or getting my granddaughters down here and we craft together. O M G - Seriously love both of those cards - Brilliant idea to color the black & white lacy paper to match the flowers - If I have to choose my favorite, I will choose the yellow. Absolutely love your blog! Pretty card! Love all you are doing with this cartridge. I usually cheer myself up by getting out of the house. Love this cartridge and all you can do with it. I craft to cheer myself up. I cheer up by seeing my granddaughters!! Love the card. It is very elegant. Thanks! To cheer myself up I like to scrapbook!!! I go for a walk or scrapbook or sew to cheer me up. Large photos provide an effective way to convey specific emotions. This might not be the right trend for everyone, Abu Dhabi Website Design but it creates an aesthetic effect where sufficient space is available. 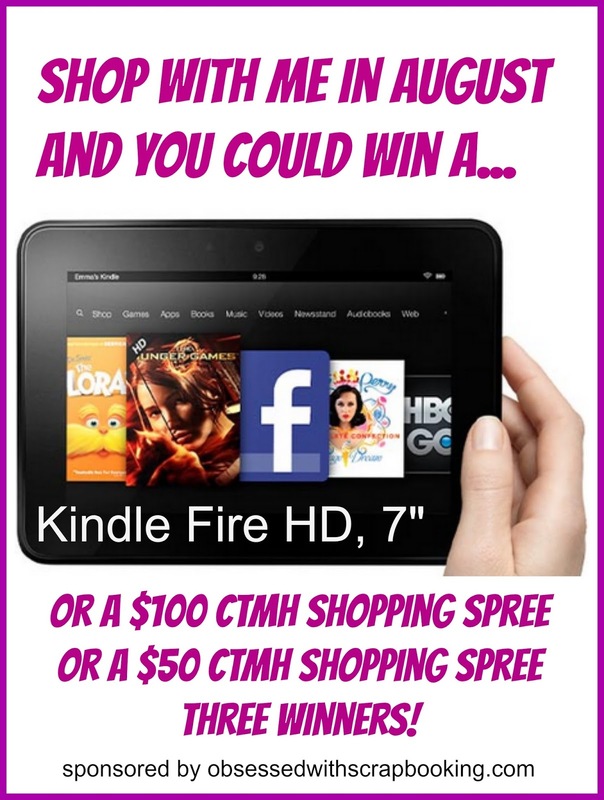 Thanks for the chance to win a cartridge! I cheer myself up by shopping for craft stuff! I like the yellow one but teal is my favorite color so I am conflicted, lol. I would love to win the new card cartridge, than you for the opportunity. Another beautiful simple card for elegance or simplicity! 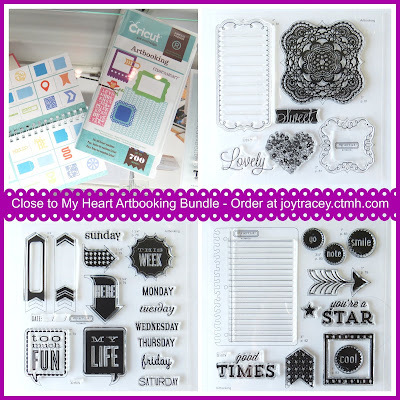 I love to shop for scrapbooking supplies to cheer me up LOL! TFS!! Thanks for the opportunity to win! I like to go here! and see all the wonderful things you create! as well as other blogs. Gives me inspiration! Love the cards! 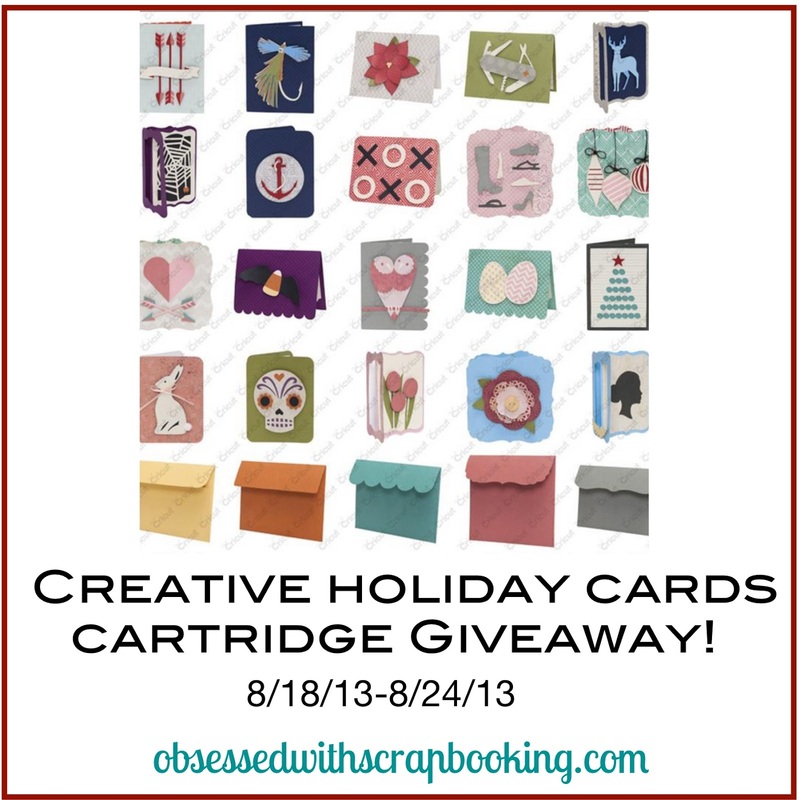 Thanks for a chance to win a cricut cartridge ;-).